While surf splashes against bulging sand mattresses just a stone's throw away from a Kahana resort's eight-story towers, plans to shield them from erosion with a 400-foot-long seawall have run into community opposition, a lawsuit and an uncertain future in the state Legislature. 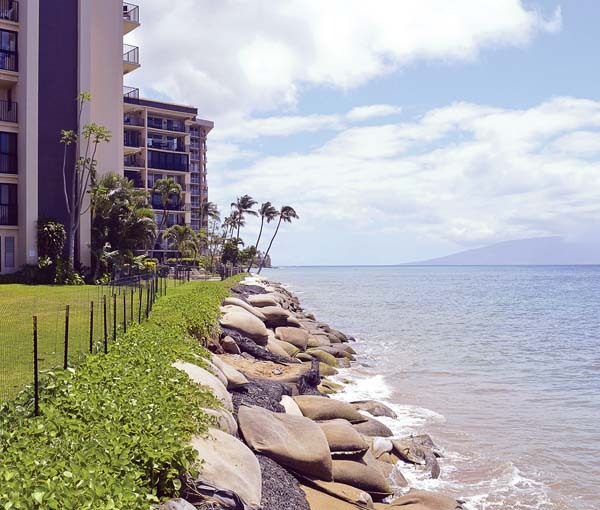 On March 23, the state Board of Land and Natural Resources deferred action on a time extension request for a conservation district use permit for shoreline erosion control from the owners of Hololani Resort Condominiums, located at 4401 Lower Honoapiilani Road. The board denied a request for a contested case proceeding from a group of West Maui residents and community activists. The time extension request is scheduled to return to the board April 27. Meanwhile, the seawall opponents appealed to the Maui Environmental Court on April 5. They maintain the board improperly denied their request for a contested case proceeding, and they want the court to block construction of the Hololani seawall until there's "compliance with all applicable laws." The plaintiffs are Na Papa'i Wawae 'Ula'ula, the West Maui Preservation Association and Native Hawaiian fisherman and Kahana resident Felimon Sadang, represented by attorney Lance Collins. The defendants are the land board and the Hololani Association of Apartment Owners. The plaintiffs provided copies of their lawsuit to The Maui News, along with a statement detailing their opposition to the seawall project. They maintain that seawalls and other hardening projects have aggravated "flaking" erosion along the West Maui coastline, and that the "installation of a larger, permanent structure at Hololani could exacerbate impacts on coastal ecosystems." The Sadang family has lived in Kahana for generations and has been forced to move their home several times and lost pigs and chicken coops because of coastal erosion, the plaintiffs said. Na Papa'i coordinating member Kai Nishiki questioned the land board's approval of a permanent seawall while Maui County has approved only a temporary structure while it completes a regional sand nourishment project for Kahana Bay. "Kahana has been our place to fish, dive, collect limu, swim, surf and enjoy time with our ohana," Nishiki said. "The science is clear: a huge 400-foot-long seawall will destroy what we love about this place." Community organizer Tiare Lawrence, also a candidate for the Upcountry 12th House district seat held by Rep. Kyle Yamashita, said construction of the seawall could start a domino effect when other owners of shoreline properties would need to convert from sandbag revetments to permanent seawalls to protect their property. Also, the Hololani owners have a measure pending before state lawmakers this session, which ends May 3. Senate concurrent resolution 63 would authorize the issuance of an easement covering 6,128 square feet, a portion of which would be state submerged lands off of the Hololani for the seawall's rock revetment. Land board Chairwoman Suzanne Case submitted testimony in favor of the measure to the Senate Ways and Means Committee. In it, she told lawmakers the Hololani property owners had obtained a conservation district use permit from the board for the steel sheet pile seawall and rock revetment. But, as a condition of that permit, the owners were required to obtain a nonexclusive easement for the structure from the state, approval of which must be obtained by the governor and the Legislature by a concurrent resolution, Case said. The property owners will pay fair market value of the easement, based on the final easement area, and as determined by an independent appraisal, she said. Written testimony from Association of Apartment Owners of Hololani Condominium President Stuart Allen and board director Michelle Stafford sought approval of the concurrent resolution for what they called a hybrid shore protection structure. 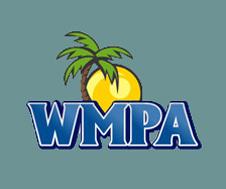 They said the property owners concurred with a Senate Committee on Water and Land amendment with additional safeguards to ensure unrestricted public beach access, to remove the revetment if a regional beach nourishment project proceeds and to provide liability protection for the state. They testified that the Hololani project has been designed to not increase erosion to neighboring properties. "While some testifiers advocate allowing the erosion to continue without any shoreline structures, if erosion is allowed to continue, the resulting shoreline will consist of a cliff and very poor water quality — high turbidity due to the landward red soils and darker material washing into the ocean — which would be damaging to the marine life, such as the coral colonies that are presently flourishing offshore," they said. "The turbidity would also make the bay undesirable for human use." Allen and Stafford said the condominium association is required by its shoreline management area permit to participate in and pay its share of a regional beach nourishment study; and, if and when such a project is completed, to remove the seawall. Meanwhile, "the present conditions at Kahana Bay are dire," they said. "The erosion has become increasingly damaging since the inception of the project." A timeline provided by Allen and Stafford showed that the beginning of a "long-term solution" and the hiring of consultant Sea Engineering were in 2010. Preparation of a draft environmental assessment began in 2011, and a final assessment was published and accepted in October 2013. A conservation district use permit was granted with conditions in November 2013, and a special management area permit was approved in June 2016. The Senate concurrent resolution was passed April 5 and sent to the House, where it was referred to Water and Land; Ocean, Marine Resources and Hawaiian Affairs; and Finance committees. Voluminous testimony was submitted to the land board and state lawmakers from Maui by residents opposed to the Hololani seawall project. They said seawalls prevent natural erosion processes and harm neighboring beaches, near-shore ecosystems and water quality. In December, the 304-page "Sea Level Rise Vulnerability & Adaptation Report" by the state Office of Conservation and Coastal Lands identified West Maui, Waihee, Hana and Kihei as communities susceptible to rising ocean waters. A projected 3.2-foot rise in sea level by 2100 would result in chronic flooding, submerged lands, coastal erosion and new wetlands. The greatest economic loss would be in West Maui because of the concentration of high-value residential property, commercial land and structures, the report said. A sea-level rise of more than 3 feet would wreak economic losses in the billions and destroy 760 structures on the island, including hotels in West Maui, the report warned.